Summary: Shoulder injuries are a common type of workplace injury claimed under the workers’ compensation system. When a worker repetitively hammers, cuts, or lifts items, the shoulder may be prone to injury. The pain from a shoulder injury can be excruciating.Shoulder injuries are the only injury that may result in a higher compensation. There are numerous types of work-related shoulder injuries covered under the workers’ compensation system. These injuries may result in problems in movement or range of motion, nerve problems, and other injuries affecting other parts of the body. Abduction is the ability of a person to move his or her arm over the head. This movement is involved in the action when items are lifted up to an elevated position. In contrast, adduction is the ability of a person to move his or her arm to the front of the body. Workplace shoulder injuries can also be associated with the internal and external rotation of the shoulder. Rotating movements include holding the arm along the side while bending the elbow with the hand facing front. It is also associated with moving the hand toward the ceiling or moving it down into the floor. While nerve problems associated with the neck, back, spine, bicep, or elbow may be linked to shoulder injuries, it can only be determined by the type of injury suffered by the person. 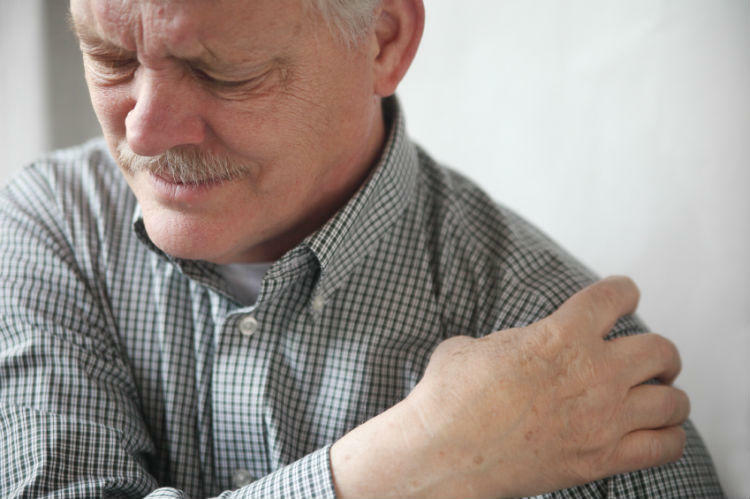 Some common types of shoulder injuries include dislocated shoulders, rotator cuff tears or rotator cuff injuries, instability, impingement, frozen shoulder, or strains and overuse. An injured employee is advised to contact a Missouri workers' compensation lawyer when suffering from a work-related shoulder injury. It is essential that you hire a workers’ compensation lawyer who understands the complexities of shoulder injuries. A good understanding of the injury and its implication on workers’ compensation laws allows the lawyer help you receive the correct compensation for your injury. If your work-related shoulder injury is being disputed, speak to a Missouri Workers Compensation Lawyer immediately. The Law Office of James M. Hoffmann has practiced workers' compensation law for over 20 years. We represent clients throughout the State of Missouri and in the greater St. Louis area. Contact us at (314) 361-4300 to understand your legal rights and options.